I saw these on Zoe's blog the other day, and thought what a fantastic idea and so cute. Bet they don't do staffs though. But they did! Janchristie Designer Nail Art is the brilliant idea of Mandie & Christine. After being bored of the nail stickers available they decided to start making their own. 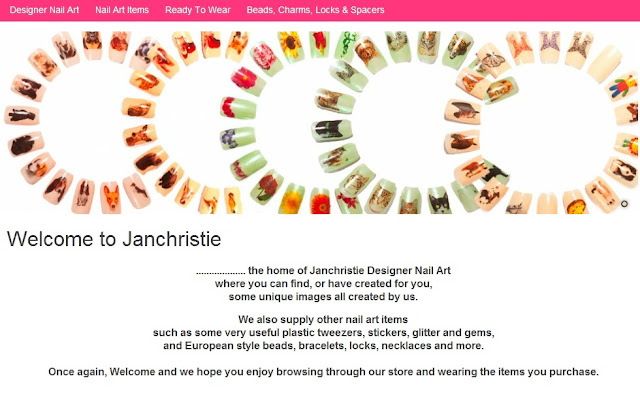 Starting out on Ebay, they now have their own online shop stuffed full of nail stickers and other pretty nail accessories. Delivery was super speedy, and after ordering Monday, they arrived Wednesday. 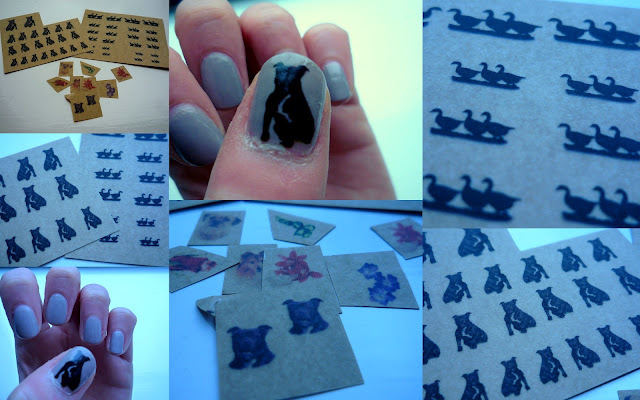 For a very reasonable £1.80 per sheet (each sheet has 24 stickers on, in different sizes for your nails) + 70p P&P (dependant on weight) it's totally worth it for a fun look. You even get some samples to practice with! Application is simple, start with painting your nails whatever colour you like, although they do recommend lighter colours to show the stickers off. Then cut around the design, and peel away from the brown paper backing, use tweezers to do this. Place gently on nail and smooth out to remove bumps, keep the edges of the sticker as far away from the nails edge as possible to avoid them catching and peeling. I popped two of the staffy stickers on my thumbs after painting with Nails Inc Porchester Square. I think the mushroom beige really shows off the black staff (which looks a little like Percie!) 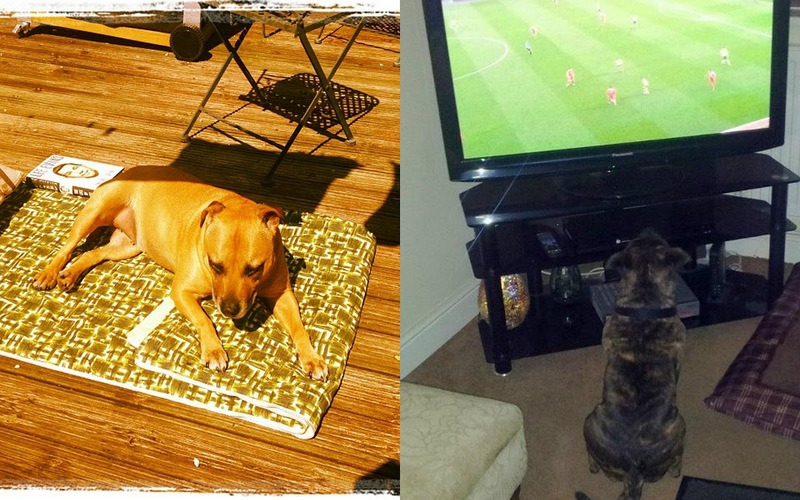 I keep showing mine to the dogs but don't think they are going to get a picture of me on their claws. Clearly think I'm crazy, and far too busy watching TV or lounging in the garden. What do you think of Janchristie? What would you have on yours?